Becki Mowry’s journalism expertise keeps her busy as she spends her waking hours filling a calendar with gigs and public appearances for her boyfriend’s up and coming band, Alternate Tragedy. Radio interviews and TV spots result in sold out concerts and rowdy groupies hot for her guy; lead singer, Calon Ridge. But, as fame would have it, their time in the limelight also brings sabotage, rumors and false accusations. Becki and Calon try to stay steadfast on a personal journey that takes them to the depths of fear and uncertainty. And finally, the rug is pulled out from under the band when they must make a transition they never dreamed they’d be faced with. 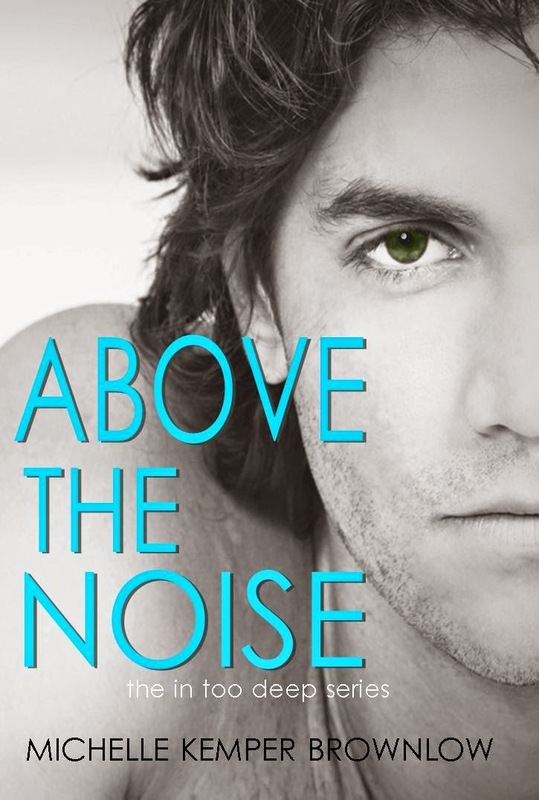 In this third book of the In Too Deep series, Becki and Calon struggle to find balance as they navigate their new relationship while living amid the rock world’s nocturnal chaos. But when life’s unexpected obstacles come out of nowhere, they focus on finding their own private solace Above the Noise. MICHELLE'S BLOG BY CLICKING HERE !!! My debut New Adult romance, IN TOO DEEP, and its sequel, ON SOLID GROUND, were released in 2013 and have spent time on 3 of Amazon's Top 100 lists! ONE CLICK THIS SERIES !! !